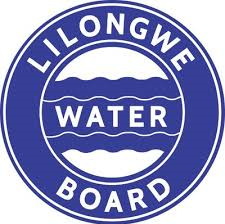 Lilongwe Water Board is a parastatal water utility organization in Malawi established in 1947 and reconstituted by the Act of Parliament ‘Water Works Act No. 17 of 1995. The Board is mandated to supply potable water to the City of Lilongwe and the surrounding areas. Its clients include domestic, institutional, industrial as well as commercial customers. LWB abstracts its raw water from Lilongwe River which originates from Dzalanyama Ranges. There are two dams constructed along the river; Kamuzu Dam I and Kamuzu Dam II. The catchment area is approximately 1,870 square Kilometers. Kamuzu Dam I was constructed in 1966 and has a storage capacity of 4.5 million cubic meters, Kamuzu Dam II was constructed in 1989 with an initial storage capacity of 9.2 million cubic meters. The Dam was rehabilitated and raised in 1999 thus increasing the storage capacity to 19.8 million cubic meters. Kamuzu Dam I acts as a balancing reservoir and its outflow goes directly into Kamuzu Dam II. Water flows by gravity down to the abstraction point, about 20 km downstream.